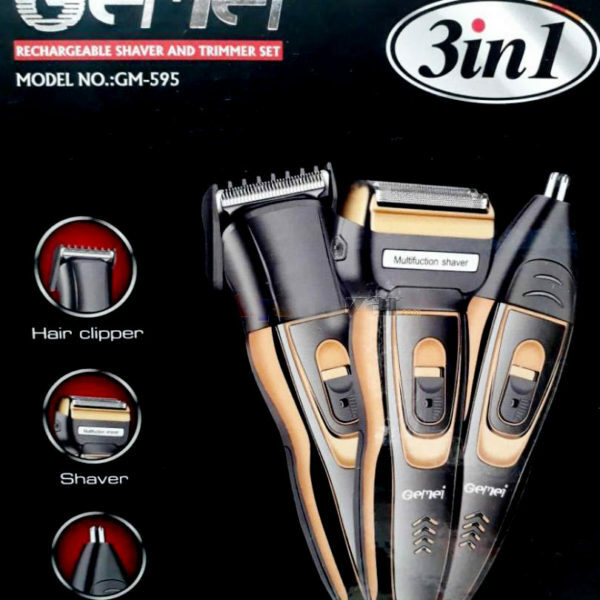 Gemei Hair And Beard Trimmer GM-595 SE. Power source: AC 220-240V – 50 Hz 3W. Cordless operation. Light & compact. Stainless steel blade, easy to cut your hair. Press type switch, easy to operate. charging indicator. Rechargeable batter (Can be replaced – AA size). Powerful & unique Motor. Whats included: Hair trimmer GM-595, charging cords, 3pcs hair clips, oil bottle, cleaning brushThis is the trimmer you were looking for, a perfect companion for every gentle men, hunks who can groom themselves on the go. Perfectly designed quality product to slim trim your beard, mustache, etc. Powerful blades with rechargeable option for on the go performance. 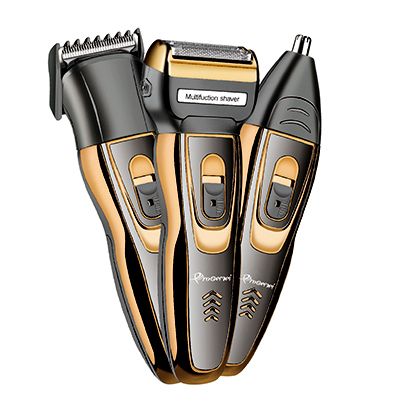 Gemei GEMEI GM-6005.Hair & beard clipper.